For the newbie investor, the language used by finance people can be bewildering and quite intimidating at times, but the concepts behind the “foreign language” are usually fairly simple – at least, most of the time, anyway! My No Nonsense Guide To Finance series of posts aims to simplify a lot of the terminology you are likely to encounter if you enter the world of financial planning and investing. Being familiar with these terms will help you level the playing field and give you more confidence when dealing with financial advisers. Following on from the No Nonsense Guide to Finance #1, this time, we’re looking at benchmarks, risk tolerance, expense ratios and P/E ratios. Hang tight, because you will be able to discuss them all at dinner parties by the end of this post. When a financial adviser is reviewing your portfolio or a particular fund, there may be mention of past performance against a benchmark or talk of a fund “beating the index“. Well, let’s start with a non-financial example of benchmarking, shall we? Cher takes an exam at school and scores 75% (that’s your fund performance). Seems like a pretty good result, but in order to know how good, Cher needs to compare her result with (or benchmark against) the average marks of the other students in the class (that’s the index) and then she’ll know how well that 75% stacks up. In investing, a benchmark is an index made up of multiple securities that represent a particular part of the market as a whole and gives you a point of reference with which to compare the performance of your fund or portfolio. An example of an index is the S&P 500 Index, which measures the value of the 500 largest companies by market capitalisation listed on the New York Stock Exchange (NYSE). You might use this particular index to benchmark the performance of your own portfolio or a fund within that portfolio. 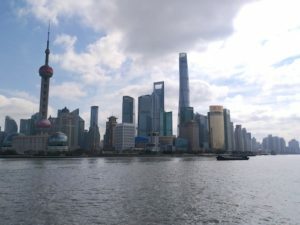 To use another example, if you are holding, let’s say, a global technology fund within your portfolio, you might want to benchmark the performance of that particular fund against other funds in the technology sector, so perhaps you’d use an index called the MSCI ACWI Information Technology Index. Don’t worry about the names – there are lots of indices used across all the different markets and sectors and they give you a point of reference from which to gauge the performance of your own holdings. Some people actually prefer to invest in the index itself, but more on that another time. First, let’s define risk in the context of investing. Here, risk itself is the possibility of losing some or all of the money you invested originally. Investments always involve a trade-off between return and risk and so, generally, the greater the amount of risk an investor is willing to take, the greater the potential return the investor should expect. If you’re putting your neck on the line, it needs to be for some reward, right? Tolerance to risk is your ability or willingness to accept a certain degree of volatility or fluctuation in the value of your investment without anxiety or the feeling that you need to sell. Different people are prepared or able to tolerate different levels of investment risk. And the definition of risk can mean different things to each investor. Therefore, when considering your risk profile, which will be categorised in some original and interesting way, such as low, medium or high risk, a financial adviser should also assess your perception of risk. What seems risky to me might not feel risky to you, but if you don’t understand the risks involved in certain investments, your perception of the risk can be distorted. It might not feel risky at all, but in reality, could be very risky. Another factor is your risk capacity, which is your ability to absorb financial losses that might arise from a particular investment. In other words, if you’re investing $10,000 and it is the only money you have, you can’t afford to lose it, so you have a low capacity for risk. If that $10,000 happens to be loose change you found down the back of the sofa, then maybe you can go crazy and stick it in a high risk investment, because the prospect of losing it is not an issue for you. Lucky you! The expense ratio, sometimes called the Total Expense Ratio or TER, is a measure of a fund’s operating costs, which can vary greatly from fund to fund. It is expressed as a percentage and is charged to the shareholders as a deduction from the fund’s assets. This means that it is deducted from the overall return of the fund, so you’ll appreciate that it could be important to keep these costs down whenever possible. The fee covers the management, marketing, administration and other operational costs incurred by the fund. Funds domiciled in Europe replaced the TER with the Ongoing Charges Figure (OCF) several years’ ago and so you will see that figure quoted within the fund literature, rather than the TER, but is essentially the same thing. What you need to remember is that the expense ratio can create some drag in performance and so you need to weigh up whether the performance your getting from the fund is worth the management costs or if you can find cheaper equivalent funds elsewhere. I tend to favour ETFs, which have much lower running costs and equal or better actively managed mutual funds most of the time. I will cover this in more detail in another post. What is a Price-to-Earnings Ratio? The price-to-earnings ratio (P/E ratio) is a measure commonly used to value stock. It is a quick and dirty way of determining whether or not a company’s stock is expensive, but it is purely a guide and has several limitations. Yes, unfortunately, it’s not that easy or we’d all be multi-millionaires! Essentially, the P/E ratio is the price you are paying for $1 of that company’s profit or earnings. To calculate this, you need to know the stock’s earnings-per-share, or EPS. The EPS itself is an important indicator of a company’s profitability and the basic EPS calculation is net income ÷ the number of ordinary shares available, but let’s not get too worried about this bit at the moment. 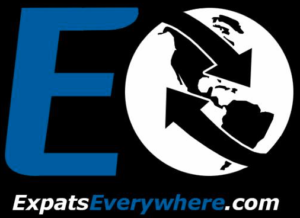 So, let’s say that a company’s EPS is reported as $5 and the stock’s current price is $50 per share. The P/E ratio is calculated by dividing the share price by the EPS ($50 ÷ $5), so in this case, it would be 10. Now, whether that is a good figure or not depends . . . Different sectors and industries have different P/E ratio ranges that are considered to be normal and you also need to consider where that particular company is in its life cycle. Generally though, a high P/E ratio can mean that investors are expecting higher earnings growth in the future in comparison with those companies with much lower ratios. As I say, this method of stock valuation has its limitations and there is a lot more to it than this than just calculating the P/E ratio and conquering the stock market! But hopefully, the above explanation is enough to give you a basic understanding. Investopedia has a really nice guide on this here if you are interested to read more. 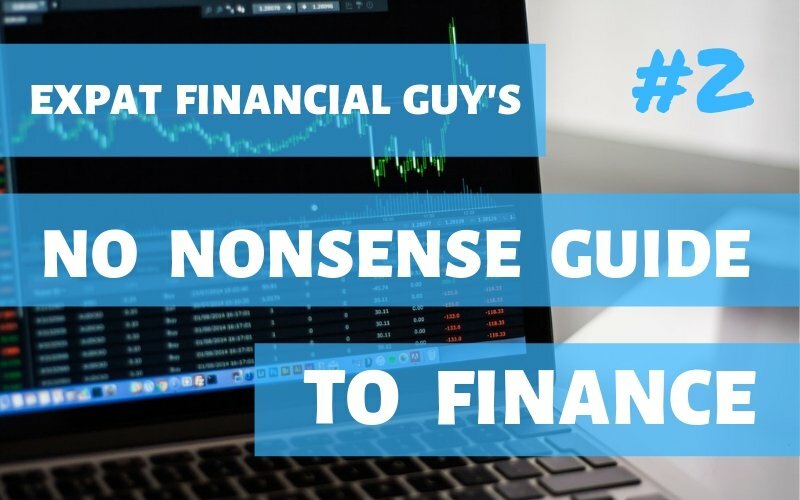 In the meantime, if you haven’t seen it already, go back and check out the No Nonsense Guide To Finance #1 for more terms and learn to speak the language of finance like a pro!